Over the weekend, two young men who had climbed onto the roof of an Arriva train were removed at Buitenpost. The two men, a 21-year-old from Súdwest-Fryslân and a 23-year-old from Groningen, were suffering from hypothermia when they were taken off the train. The Leeuwarder Courant reports that it is unclear how long the men were on the train, but they could have been up there starting in Leeuwarden. The men also filmed their trip and posted the video online. Someone spotted the men on the roof in Zwaagwesteinde and called the police, who headed to the Buitenpost station to intervene. By the time the police arrived, Arriva staff had already gotten the men off the train and handed them over to the police. The police filed a report against the two men for violating the Railways Act. 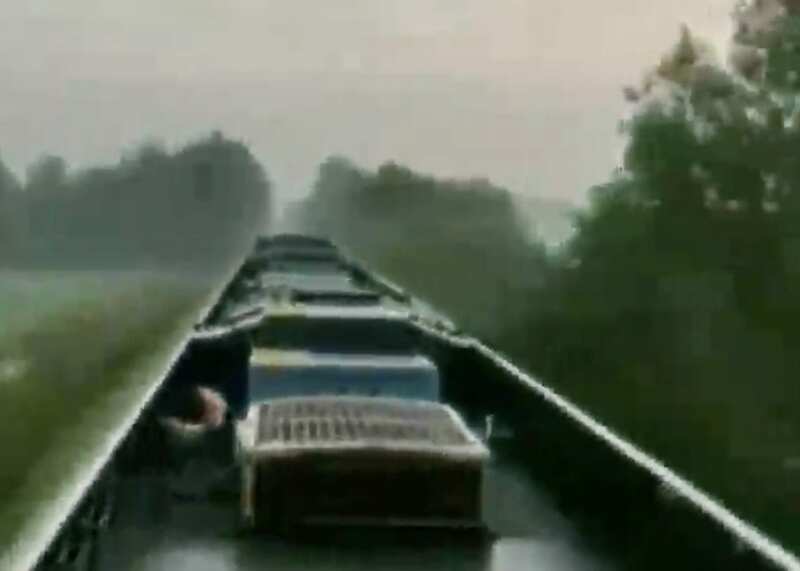 A police spokesperson told Omrop Fryslân that “train surfing” is extremely rare in the Friesland. Two 17-year-olds were caught riding on the back of a freight train over the summer in Rotterdam earlier in 2018, and in 2016, two other young men rode on the roof of a Veolia train between Nijmegen and Molenhoek. According to Article 164 of the Dutch Criminal Code, people who hitch a ride on the outside of a train could be sentenced to up to 15 years in prison, but a fine and community service are more commonly called for in such cases. International student housing: is it time to fight the law?